As we approach Christmas (and subsequently, Kwanzaa), it is easy to get lured by all the seemingly enticing deals being offered by the big-box stores. It is easy to overlook the entrepreneurial artisans surrounding us, of which there are many. In the spirit of Kuumba, the Kwanzaa principle of Creativity, Kujichagulia (Self-Determination), and Ujamaa (Cooperative Economics), let us show our support to our creative brothers and sisters who are following their passion, honing their craft and creating their own destiny! This season, Shop (Black) Handmade! Here is are just a few items that have caught my eye. To discover other artisans, please visit Etsy’s Artists of Color blog. Yetunde Taiwo Rodriguez is a wife, mother of three, design junkie, lover of all things d-i-y and all around creative schizophrenic. When she is not otherwise occupied with her family and other such real-life obligations, she can be found bragging about her latest home projects on AfroMartha.com, selling her unique line of crochet and leather jewelry on Yaytoonday.com, or whiling away her non-existent free time on Pinterest/Yetunguez. AWESOME collection! Again, thank you so much for including Li’l Crumbsnatchers! I feel very special to be included in such a wonderful group of artisans, and I am confident that your words of encouragement will motivate your readers to buy “brown” and handmade not just for the upcoming holidays, but all year long. I truly appreciate your efforts! Keep up the great work! Wow! Thank you for featuring Altliae! As a thankyou to your readers, they can use promo code ETSY15 at checkout for an extra 15% off any purchases! 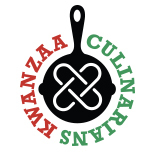 This entry was posted on December 5, 2011 by Kwanzaa Culinarians in 2011, business, Kujichagulia, Kuumba, shopping, Ujamaa and tagged AfroMartha.com, Etsy.com, handmade gifts, Kujichagulia, Kuumba, shopping, Ujama, Yetunde Taiwo Rodriguez.